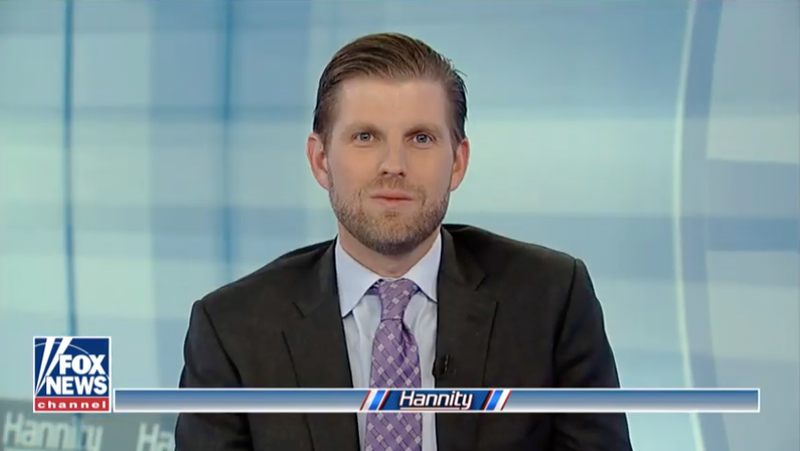 Eric Trump went on Fox News Tuesday night to shill like an idiot for his idiot father, but I could barely focus on the words spilling out of his thin, chapped lips due to the beard that has tenuously sprouted on the lower third of his face. Was this beard—a beard that is nearly the same color as his pale, sallow face—a new development? Did Eric follow his brother Don Jr.’s lead with a magnet beard? No. A quick investigation reveals that it is in fact the opposite—Eric’s beard has been with us for months. Which leads us to now, where the beard and sadly the man attached to the beard both remain with us still. Truly an unfortunate situation all around.